"for all her familiarity with the commercial mainstream, Mason can't do anything obvious or unhip ...It's all beautifully produced"
"Mason pulls out all the arranging stops for 'How Deep Is Your Love' and 'Blue Moon', both receive breathtaking, unfailingly beautiful performances form Claire Martin. " Listen to preview clips here. I was a huge fan of Janette Mason's first two releases Din and Tonic (2005) and Alien Left Hand (2009). 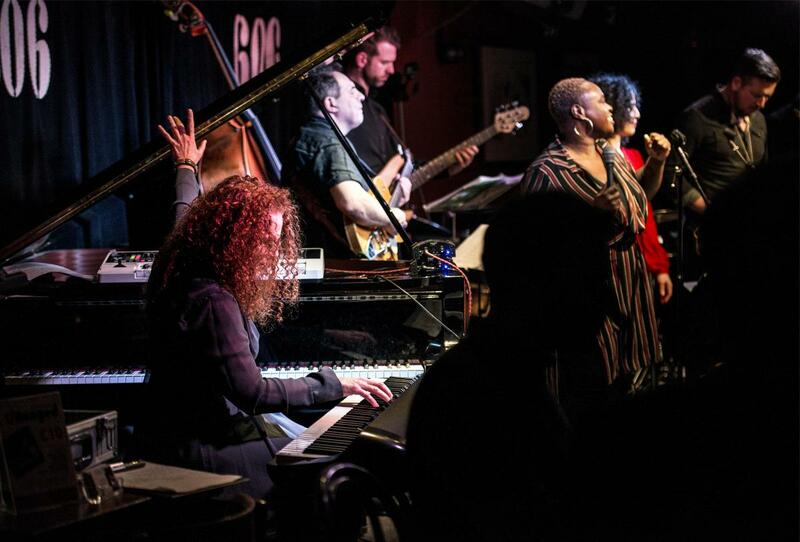 Assembling a truly mouth-watering cast of vocalists, D'Ranged sees pianist, arranger and composer shift her focus from composing duties to reimagining nine songs by Bowie, Bacharach, The Bee Gees, Stevie Wonder and more. The album kicks off with a lapel-grabbing 'I Wish' by the great young Texan vocalists Tatiana LadyMayMayfield, a semi-finalist in the 2101 Thelonious Monk International Jazz Competition. Basement Jaxx vocalist, Vula Malinga, gives a magisterial performance of 'Got To Be Real' and 'I Say A Little Prayer', the latter also featuring a brilliant backing vocal arrangement. ‘Lady Grinning Soul’ sees David McAlmont disappearing of the upper reaches of the treble clef. The album's one instrumental, a complete reworking of 'Ashes to Ashes', is a typically Masoneque confection. Gwyneth Hebert makes her brace of songs entirely her own, 'This House' reminding you of just how great this Alison Moyet song is, as well as unearthing hidden lyricism the rolling grooves of 'You Do Something To Me'. Mason pulls out all the arranging stops for 'How Deep Is Your Love' and 'Blue Moon', both receive breathtaking, unfailingly beautiful performances form Claire Martin. As the rocket fuelled gospelly soul groove fades out, with the horn section still going full throttle and Basement Jaxx vocalist Vula Malinga gliding effortlessly over the top, I settle back into my chair to pen this review with a grin on my face.Janette Mason’s arrangement of the Burt Bacharach classic I say a little prayer is a great end to this set, a series of arrangements of an eclectic mix of classic soul songs, 70’s disco and 80’s pop tunes. They’re all given a distinctive twist by arranger and pianist Mason, and performed by a stellar cast of collaborators from her wide ranging career: Claire Martin, Gwyneth Herbert, David McAlmont,Tatiana LadyMay Mayfield all contribute. They must have had great fun making this album. Sitting down at the launch party may not be an option. 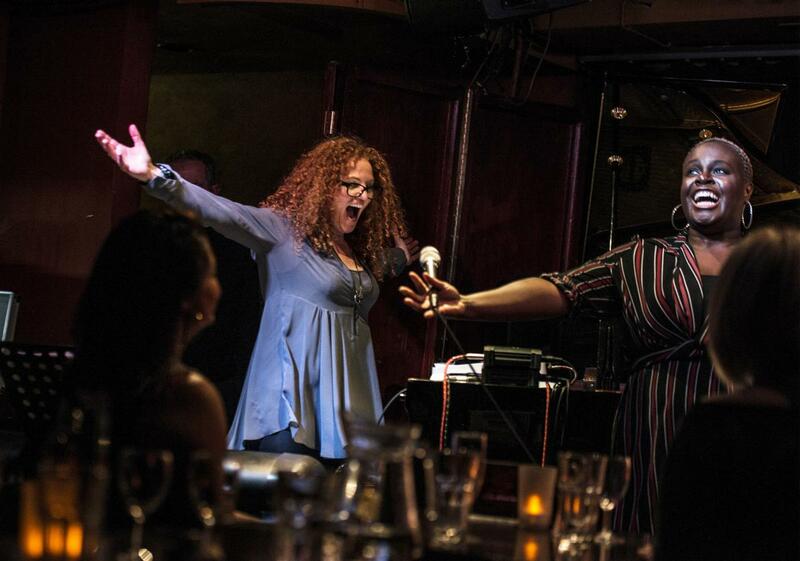 D’Ranged is the third studio album from the supremely talented pianist, arranger and composer, Janette Mason. A very definite departure from her previous two, criticallyacclaimed, albums, which took a clear jazz path, the concept behind D’Ranged was to take classic soul, jazz and pop tunes and inject them with a brand new jazz-inflected sensibility. 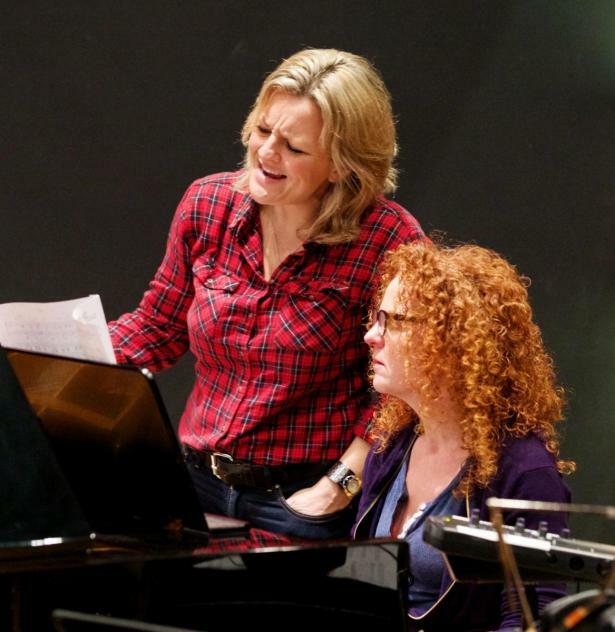 To this end, Janette assembled an outstanding group of singers and musicians, who may not normally cross paths, to record nine new arrangements of songs by David Bowie, Burt Bacharach, the Bee Gees, Alison Moyet, Rodgers and Hart and more. Got To Be Real - One of the nine great arrangements Janette has recorded on the CD. What a fabulous way to start the new year. I've taken up residence in this amazing north London studio to get the recording of D'Ranged underway. Much of morning was spent perfecting the drum set-up and then recording the drums (Jack Pollitt), bass (Sam) and guitar (Billy Adamnson). 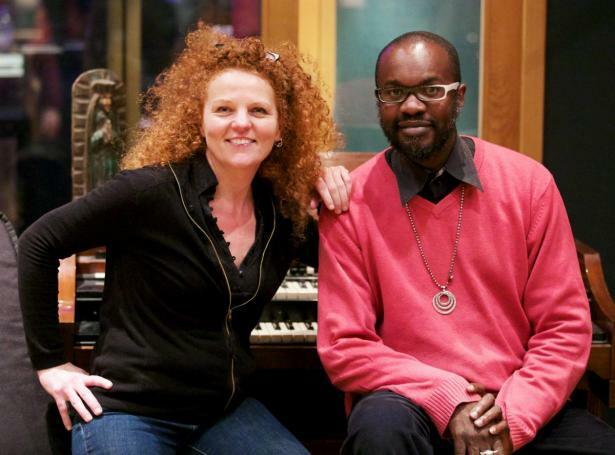 The wonderful David McAlmont came in to put his vocals on Lady Grinning Soul. If you've been along to one of the Wall to Wall Bowie shows at HIdeaway you'll have had a preview of how my arrangement of this track sounds - and the studio-recorded version will enable you to listen to it from the comfort of your own living room. How good is that? Another great day at Assault and Battery 2. Claire Martin OBE sung a stunning rendition of How Deep Is Your Love and Blue Moon then Gabbi Swallow put the cellos over the top. We recorded the backing track for This House for Gwyneth Herbert to sing on her return from Africa and left the studio bleary eyed at 10.30pm. Time to get our groove on! 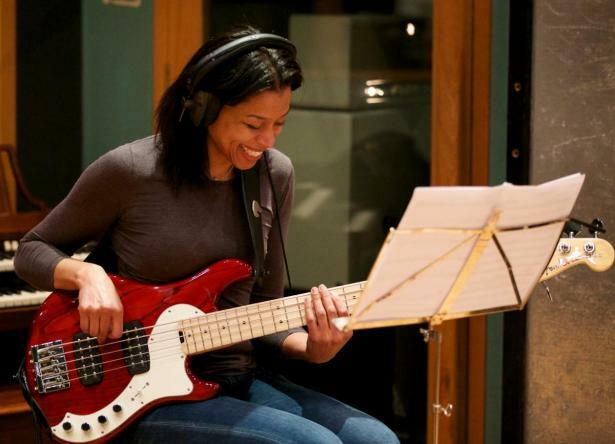 A new band for the next couple of days – Westley Joseph (Drums) Rob Harris (Guitar) Yolanda Charles (Bass guitar) to work on some Stevie Wonder, Burt Bacharach and Sheryl Lynn. The feel is really different on these electric tracks, but they still have my signature arrangement style on them. 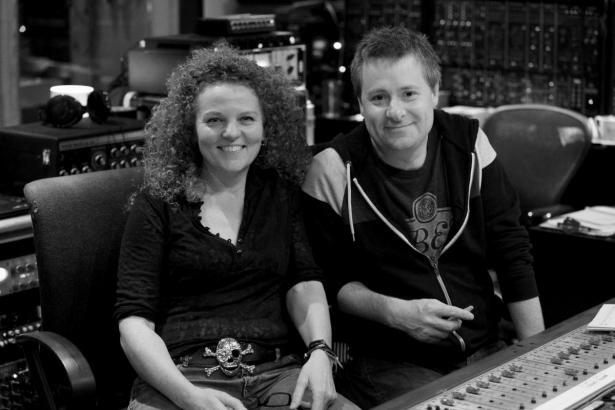 Tatiana, from a studio in Texas, laid down some great vocals for I Wish. David McAlmont returned to the studio for a late night session to put some lovely vocals on our joint arrangement of When Doves Cry. 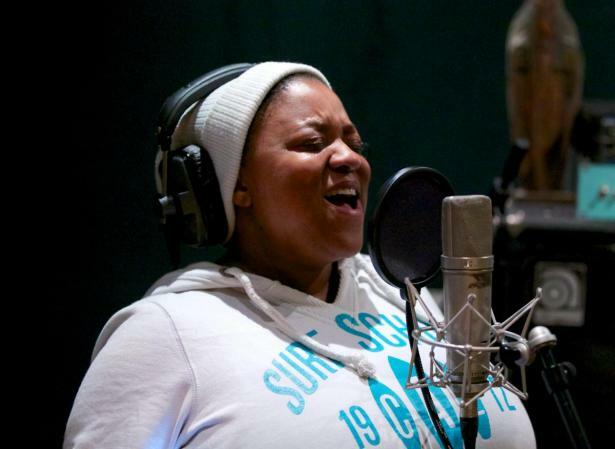 First thing for the day it was time to welcome the outstanding vocals of Vula Malinga on the classic Say A Little Prayer – now that’s some way to wake up! My arrangement moves from gentle soulfulness to…well…wait and see. The combination of Westley, Rob and Yolanda (and a certain redhead on keys) has got a really ‘vibey’ feel which I hope you’ll love. That done, we moved on to Got To Be Real. In the evening we were joined by Brendan Reilly and Sharlene Linton to top it all off with some gorgeous backing vocals. All in all, a good day at the office. Genevieve Wilkins came in in the morning to lay some percussion and vibes to the tracks and add some shimmer to the album. We threw her out at 1.30 had a quick sandwich and waited for the brass to arrive. Martin Shaw, Simon Finch, Paul Booth and Dave Lidell shuffled in and then played fantastically over I Wish, I Say A Little Prayer and Got To Be Real. Mr. Booth stayed on and played a beautiful solo on This House.